Samsung will unveil the Galaxy S9 and Galaxy S9+ in just a little over 24 hours. The pair, like their predecessors, are regular features on the rumor mill. Few details for them have gone unnoticed. One of these, which gains popularity days before Samsung’s launch event, is the price. Rumors related to the S9 lineup’s price are not new, with several sources claiming that Samsung will increase prices this year Now, we’ve got more details. Take a look below to find out more. Last year, Apple tried its very best to get ahead in the flagship smartphone world. It made drastic changes on the iPhone X, looking to make up for all the previous years’ laziness. This also raised the device’s price tag, with the iPhone X now one of the most expensive smartphones out there. If you hoped that this phenomenon, like True Depth, will remain an Apple exclusive, you’re in for some disappointment today. 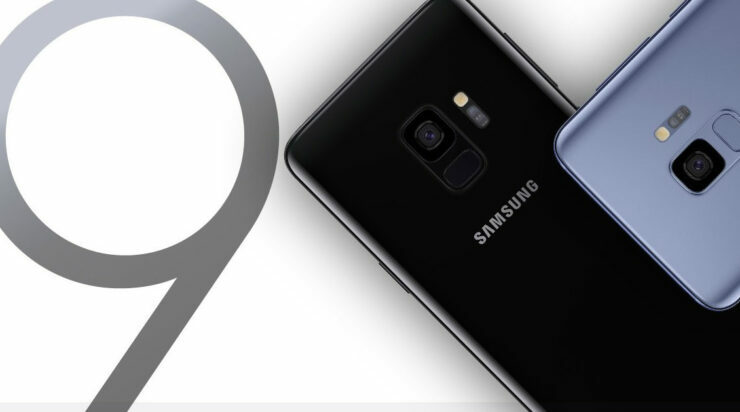 Yesterday, veteran tipster Evan Blass shared what he claimed as pricing details for the Galaxy S9 and Galaxy S9+. According to Blass, the smartphones will cost EUR 841 for the Galaxy S9 and EUR 997 for the Galaxy S9+. Now, an official document from a Spanish bank comes to light. It raises the bar even higher for the Galaxy S9 lineup’s price tag. 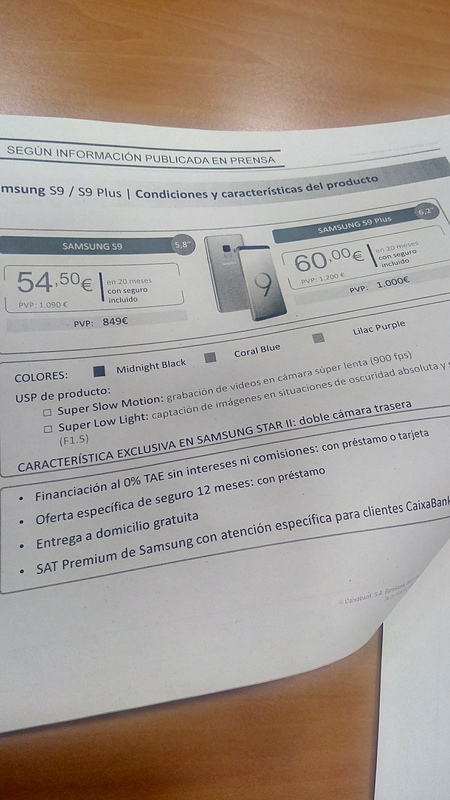 It shows a EUR849 price tag for the Galaxy S9 and a EUR1000 price tag for the Galaxy S9+. If these details do bear fruit, then expect Samsung’s Galaxy S9+ to match Apple’s iPhone X in terms of retail price. Of course, these leaks do not take carrier pricing plans into account, utilized by a lot of users to make a smartphone purchase. In addition, a recent leak also pointed towards a Galaxy S8 trade in program under the works at Samsung. This will allow users to get their hands on a new Galaxy S9 or Galaxy S9+ at a reduced price. Samsung will take it slow with its 2018 flagship smartphones. The Korean tech giant will improve the Galaxy S9 lineup’s rear camera but keep their overall form consistent with previous smartphones. Except for the camera and performance upgrades, right now, there are little incentives for users to upgrade to the Galaxy S9 or Galaxy S9+. Thoughts? Let us know what you think in the comments section below and stay tuned. We’ll keep you updated on the latest.